This pavilion is a structure attached to Ungang's Old House. 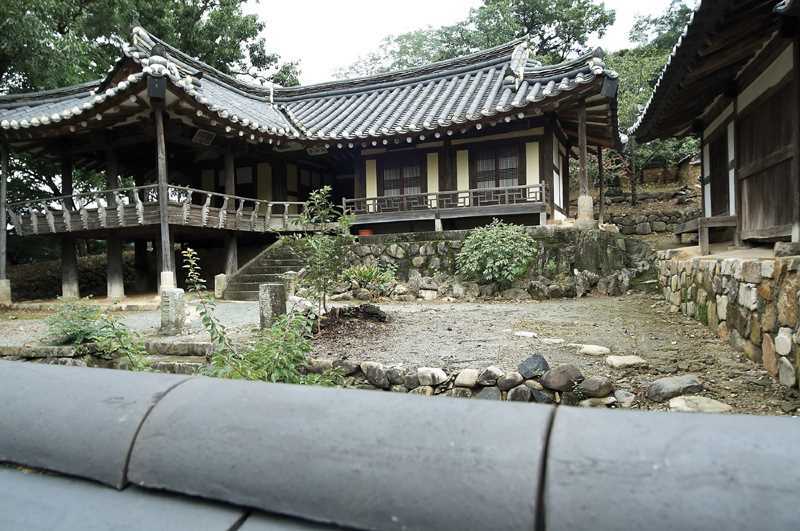 In 1856, Park Si-muk, with the pen name of Ungang, built this pavilion and educated his students here. The pavilion on the woody hill faces southwest, with the Dongchangcheon Stream close by. The structure, which is solid and delicate, has beautiful scenery around and commands a fine view of the Dongchangcheon Stream. This is the place where President Lee Seung-man stayed when he visited Cheongdo to cheer up the refugees during the Korean Civil War.